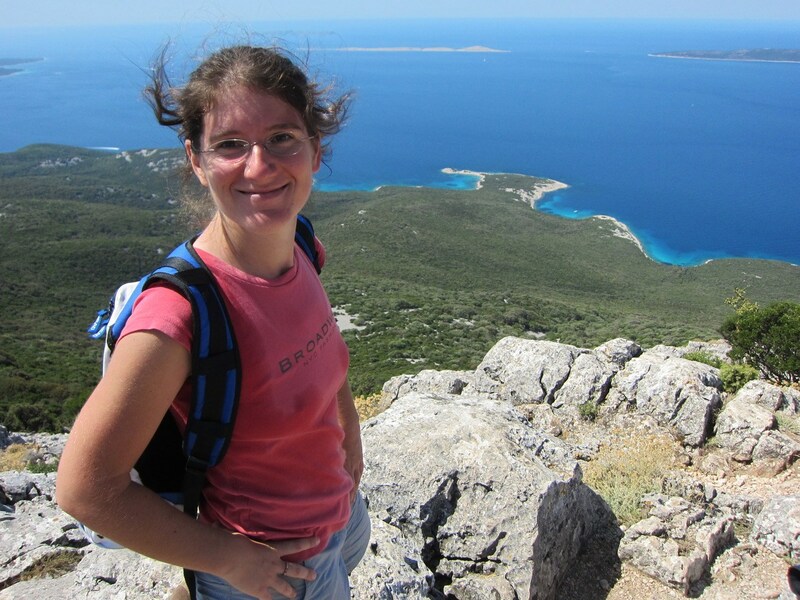 ctive in Croatia took time to speak with Oana Bacanu, a Romanian living in Zagreb. 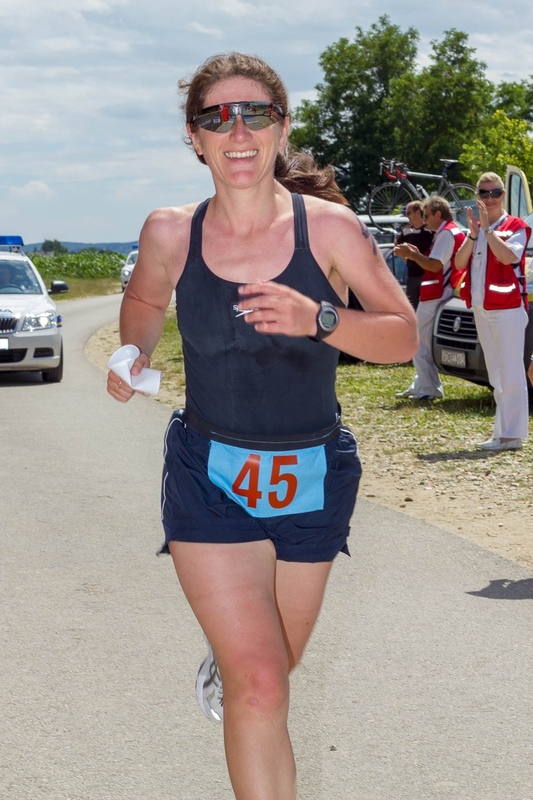 Oana is an enthusiastic runner, cyclist, and a triathlete. 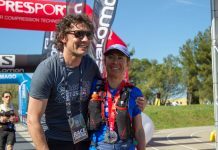 We wanted to know more about her sporting background, favorite sports, races, and places to train in Croatia as well as her experiences with the Croatian endurance sports scene. My name is Oana; I was born in Transilvania, close to the residence of Count Dracula. I moved to Zagreb in 2006 to join the love of my life, a funny and witty Croatian guy with eyes as blue as the Adriatic Sea. 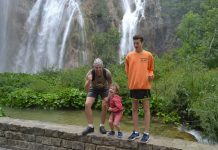 I’ve been active in Croatia ever since. 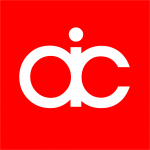 I’m a freelance translator, and I also teach English classes. Sports are my favorite way to charge batteries after work. 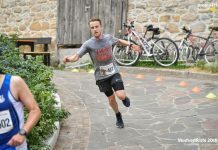 Although I once placed 6th overall (out of 6, don’t congratulate me just yet) in an Olympic distance triathlon and earned 100 kunas (13 EUR) in prize money. Does that make me a professional triathlete, haha? So triathlon is your sport of choice? Actually, I come from Brasov, a town surrounded by mountains so hiking is my first love. Later I took up running, added some swimming, learned how to ride a bike, did some mountain biking, then road biking, then triathlons, added some gym work, then discovered trail running. Now I’m a big fan of bike touring. Ok, that’s not a sport, but I enjoy being active especially while exploring and discovering. I’d like to try trekking next. Also, I think Croatia is to blame for my lack of focus on one sport. 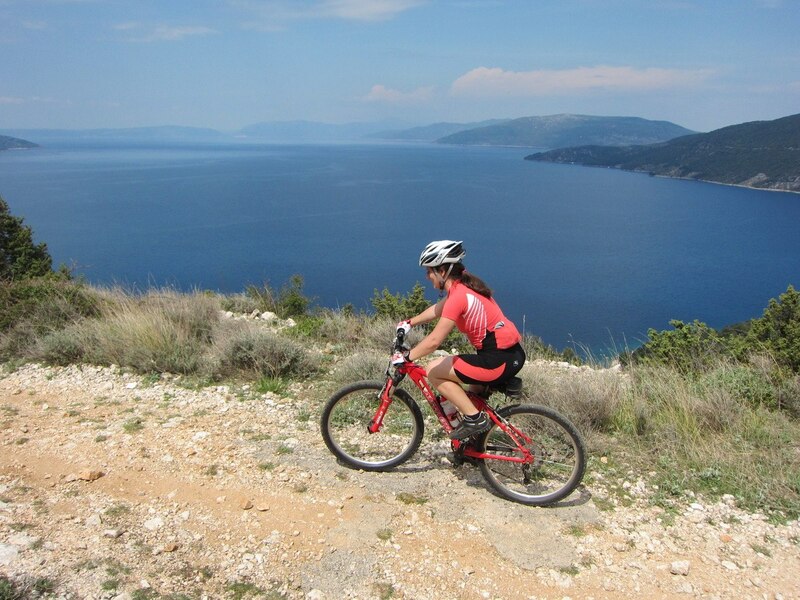 It is difficult to choose just one when you have so many beautiful places and so many great races in Croatia! Talking about beautiful places, what’s your favorite place for an active holiday? I would say the islands, and my favorite is Lošinj – the island of vitality. It is a beautiful place which invites anyone to be active. It’s impossible to stand still when just around the corner there is always another unspoiled beach or breathtaking viewpoint. I’ve visited many times, but I’ve never raced there. 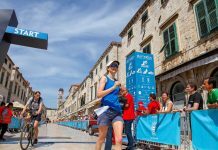 I hope in the future I’ll get to try one of the events I’ve heard so many good things about: trail, triathlon and half-marathon on Lošinj island. It seems like you are quite an expert on what Croatia has to offer? I wouldn’t go so far. Even after 12 years of trying my best, I haven’t seen all Croatia has to offer. For example, I haven’t really got to know Velebit. The Dalmatian Mountains are also high on my list of priorities. 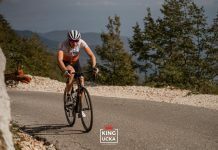 I remember one race, from Kaštel Sućurac near Split to Kozjak peak. Oh, man, what a finish line at the top, the view. Going from a Mediterranean beach to a mountain peak in little less than an hour is like being teleported to another world. There are even places closer to Zagreb that I am looking forward to exploring more: Ravna gora, Delnice, Ogulin. Give me some time and ask me again this question, say 2020 :). Do you have a favorite race in Croatia? This is a difficult choice: local races with a big heart or bigger events that attract international competitors? I remember a time not so long ago when we knew almost all the runners and cyclists. There were so few races that we would just go to all of them. Now it is impossible. My wish to discover and explore has been granted: I can go to different races every year and still not cover them all! Where do you train for your races? 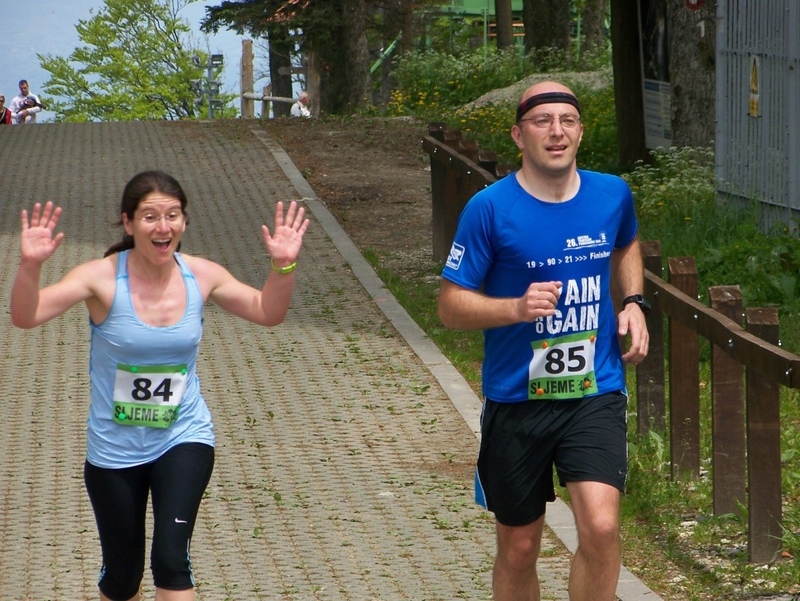 I live in Zagreb, so I have Medvednica and Sljeme in my backyard for trail running. It’s great fun to combine a longish weekend run with a delicious lunch in one of the mountain huts. 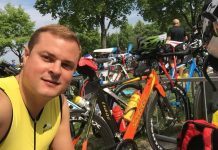 I often cycle in hilly and green Zagorje, swim in Jarun and run along the Sava River bank. What would you recommend to someone traveling to Croatia for the first time who wants to be active? 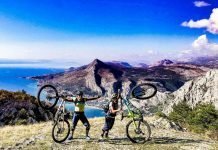 I’d say: check out the activeincroatia.com website, but since you are reading this, it means you’ve already made the crucial step. 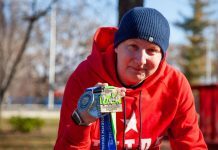 I hope you’ll find all the info you need about races and places here, I know I do. Wherever you decide to go, I’m sure you’ll find plenty of opportunities to be active. Maybe it’ll be fun to enter a race nearby. Usually, they are well organized and offer the chance to try routes or get to places you might not find by yourself. Plus the benefit of meeting the friendly local runners, cyclists, triathletes, etc. who will give you even more ideas. Enjoy your stay! Oh, and finally what was the most difficult word to pronounce in Croatian for you? Žličica šećera – a teaspoon of sugar. I gave up sugar because of that – I started taking my coffee black :).